Come back each week for complete recaps. The title of this week’s show tips us off to the musical content. Glee is known for creating mashups that work surprisingly well and this episode is no exception. The opening scene has Kurt browsing in a sheet music store, joined by an awkward encounter with Blaine and Dave Karofsky. Kurt and Blaine express their emotions by singing “It’s Too Late” from Carole King’s 1971 masterpiece album, Tapestry. They both seem regretful of their breakup, but is it too late baby now? Rachel and Kurt decide to center this week’s lesson on the mashup of Tapestry and Alanis Morissette’s Jagged Little Pill. Smooth plus edgy. They hope to expose the students to music that may not be familiar while getting them fired up at the same time. In the locker room, Sam is ironing underwear while Coach Beiste walks in, late once again. Sam has been running practices because Coach has been frequently absent. Sam realizes that something is not right, but Coach gets her defenses up when he attempts to inquire. She claims it’s a problem with her knee, but do we believe this? Spencer asks Coach for a shot at quarterback, and she tears him down and walks away. Sam lets Spencer know that he would give him a chance but it’s not his decision. Spencer is a very sharp guy, and the look on his face tells us that he realizes something is amiss. It’s the first Glee club rehearsal for the four members, with Puck, Quinn, Tina, Brittany and Santana joining in to help. Rachel and Kurt’s Jagged Little Tapestry sales pitch is met with deer-in-the-headlights looks from the students (wow, it’s really been 20 years since Jagged Little Pill was released?). They are confused and certainly not fired up as Rachel and Kurt had hoped. The tension between the two teachers is not helping matters, as their unified presentation deteriorates to disagreeable. Becky approaches Tina and Quinn with a problem. Her boyfriend Darryl is in town to meet her parents. Becky needs their help with backing up lies that she had told to Darryl about being in every club in school, including Glee. They agree to do whatever it takes. Brittany and Santana are cozy in the bedroom discussing their mashup idea. Conversation turns to their never ending love for one another and they decide to move to New York and enroll in college. After their on-again, off-again relationship over the years, it’s clear that they are now committed to each other forever. Sue meets Darryl and he is not what she was expecting. Darryl does not have Down syndrome and Sue is clearly concerned about his intentions toward Becky. The students enthusiastically receive Brittany and Santana’s performance of “I Feel the Earth Move“ and “Hand in My Pocket.” Now they get it! The true “mashup” follows in the form of a marriage proposal from Santana. The Glee alumni are happy and supportive, except for Kurt. The bitterness he is holding due to his current situation with Blaine comes through. He thinks they are too young and he speaks his mind. Later in the episode, Santana exacts revenge by calmly attacking Kurt with an insulting rant that would make Sue beam with envy. This must have made Kurt think, because he apologizes to Brittany for his negativity and expresses support for her relationship with Santana. Brittany, in her own special way, helps Kurt realize that he needs to live his life now and stop waiting for the day when things may work out with Blaine. Spencer voices his concerns about Coach Beiste to Sue, including his observation that she’s been taking prescription pills. Spencer makes it clear that he doesn’t want to see Coach fired, however in his opinion Sam would be capable of taking the helm if needed. An intervention of sorts takes place in Sue’s office with Tina, Quinn, Sue, Coach Roz and Darryl. The women are grilling Darryl because they are concerned that he’s in a relationship with Becky for the wrong reasons. He explains that he is in a relationship with Becky for all the right reasons – he thinks she is cool and funny and he enjoys her company. He did his own research on dating a person with Down syndrome and tells the women that people with Down syndrome like doing all the same things that everyone else does. He points out that the women are uncomfortable because this relationship does not fit their preconceived notion of what a relationship is. He goes on to say that Becky has the right to live a normal life. Darryl’s feelings for Becky are clearly genuine. Jane and Mason’s performance of “Will You Love Me Tomorrow” and “Head Over Feet” is sweet and beautiful. Rachel praises them, however, Kurt, who is still feeling pain from his breakup, criticizes. Is this criticism out of line, or is it justified and perhaps offered up a bit too harshly? Rachel sends Kurt home to cool off. Sue approaches Coach Beiste about her well being. She asks her if she has cancer. Coach says yes. Sue vows to do everything in her power to help her. Becky’s Glee performance for Darryl falls apart. Quinn, Santana, Brittany and Tina give Becky some sound relationship advice and encourage her to come clean about her lies to Darryl. She does just that, and of course Darryl is not at all surprised to learn that Becky can’t sing and that she isn’t Angela Merkel’s most trusted advisor! He wants Becky to get used to the fact that he likes her for who she is. 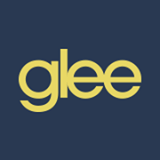 Kurt apologizes to Rachel for bringing his emotional baggage to Glee club. Rachel is understanding and explains to Kurt that he wasn’t necessarily out of line in his comments to Jane and Mason. The new Glee members realized that in order to be as good as the old New Directions, they have to work harder and need brutal honesty in order to be champions. Rachel and Kurt are on their way to collaborating with each other as true educators. Coach Beiste, Sue and Sam meet in Sue’s office. Coach reveals that she lied about having cancer. She has Gender Dysphoria and is taking steps to legally transition from a woman to a man. She explains to Sam and Sue that she never felt at home in her own skin, and her body must get into alignment with how she sees herself. Sam will take over as head football coach while Coach Beiste undergoes surgical procedures. Sue, in a show of full support, assures Coach that her job will be waiting for her should she choose to return. This very touching scene centering around the always likeable Coach Beiste was presented in typical Glee fashion – factually, emotionally, with humanity and touches of humor. The Glee alumni and students wrap up the episode with “You’ve Got a Friend” and “You Learn.” Everyone is on a good note with each another. They are ready for the road to sectionals!